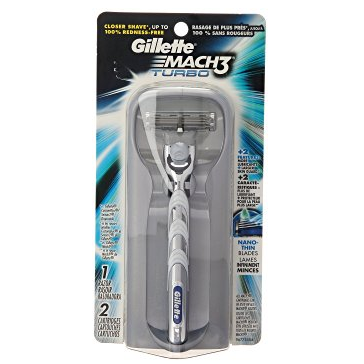 Gillette Mach3 Turbo Men’s Razor with 2 Mach3 Turbo Men’s Razor Cartridges Just $4.57 Shipped! Right now Amazon has the Gillette Mach3 Turbo Men’s Razor with 2 Mach3 Turbo Men’s Razor Cartridges for just $4.57 when you clip the $3.00 off coupon and purchase it using the subscribe and save option! NOTE: With Amazon Subscribe & Save, you save an additional 5% off the price and get free standard shipping. You are free to cancel at any time. After placing your order, wait until your order ships. Then, you can go into your Amazon Account page and click the “Manage Subscribe and Save” link and cancel it. That way you won’t have continual shipments of your order in the future. PLUS, remember, if you have 5 or more Subscribe & Save items that arrive in the same month, you will save an additional 15% (instead of 5%).